Violin makers routinely finish their instruments with a thick coat of varnish, the better to protect and preserve the wood. Now Swiss scientists claim that this varnish also plays a role in the overall sound quality of the instrument. As described in a new paper in Applied Physics A, Marjan Gilani and her colleagues at the Swiss Federal Laboratories for Material Science and Technology (EMPA) studied how a varnish’s chemical composition, thickness, and degree of penetration into the wood affected the acoustics of the instrument. They used samples of Norway spruce tone wood cut from the same tree and coated the samples with different kinds of varnish: two of their own making, and two used by German master violin makers. Then they conducted vibration tests of the samples over time, using x-ray tomography to measure the effects. The researchers found that all the varnishes increased the wood’s dampening ability—that is, how well it absorbs and stops vibrations. That extra damping, compared to unvarnished wood, leads to a warmer, mellower, and aesthetically pleasing sound. The varnishes favored by German luthiers performed slightly better in that regard, and also made for better sound radiation (louder tones). This isn’t the first time varnish has been cited as a factor in the sound of a violin—specifically, the violins built by Antonio Stradivari in the late 17th/early 18th century, renowned for their superior sound. Back in 2006, a retired professor of biochemistry, Joseph Nagyvary, claimed it was the chemicals used to treat the wood in Stradivarius violins that made them so special: a cocktail of honey, egg whites, and gum arabic, along with salts of copper, iron, and chromium. All are excellent wood preservers, but Nagyvary argued (convincingly) that they also altered the acoustical properties of the wood. Theories about Stradivari’s “secret” abound, and many of the surviving instruments have been subjected to CT scanning, infrared and nuclear magnetic resonance spectroscopy, computer modeling, and acoustic vibrational studies—all in a quest to recreate the magic of that distinctive sound. Some have claimed the Alpine spruce the master luthier used was unique due to a period of uncommonly cold weather in that era. A 2008 study found that the wood density of Stradivari violins was markedly different from more modern instruments. Looking more to the future than the past, the Strad3D Project has produced eye-popping 3-dimensional animations of a violin’s vibrations—“what a Strad does, not only what it looks like,” per the project’s Website. 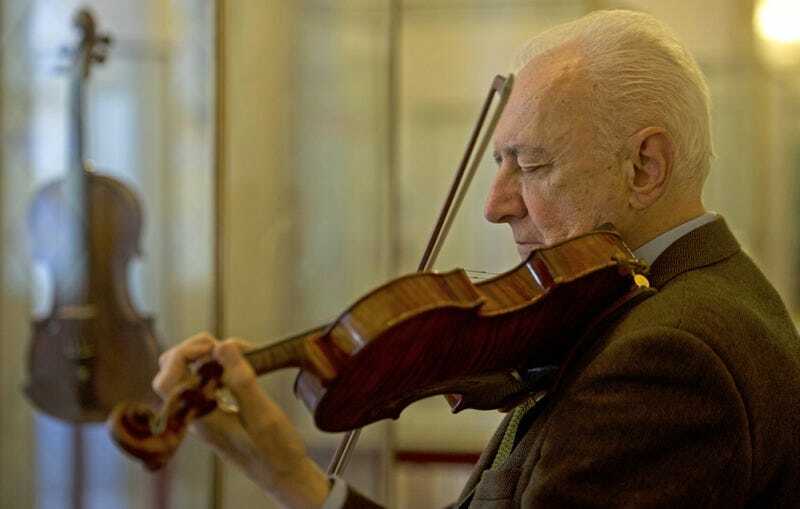 Back in 2007, I had the chance to speak with Strad3D’s acoustic research director, George Bissinger, who had his own theory about the secret behind the Stradivari sound, based on 35+ years of research: psycho-acoustics. That is, merely uttering the name Stradivari creates a sense of awe in the listener, and this naturally influences how we evaluate what we hear. So there is no magic formula that will make it possible to reproduce that stellar sound quality over and over on a massive scale. Frankly, the whole notion of mass production is antithetical to the luthier’s work, which is as much art as science. But the right choice of varnish probably can’t hurt.